The legal age for buying nicotine-infused merchandise — including cigarettes and “vaping” products — would jump from 18 to 21 under a bill that has cleared its first hurdle in the Iowa Senate. Senator Tom Shipley, a Republican from Nodaway who also supports the move, has a daughter who teaches middle school in West Omaha. 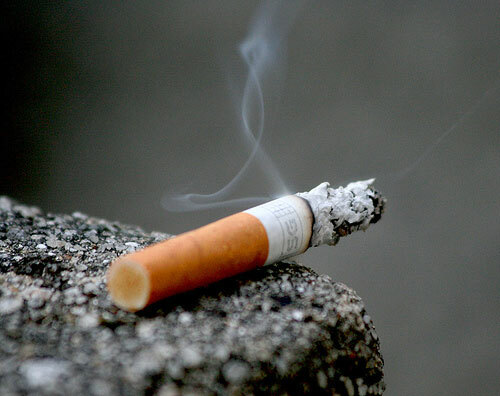 Illinois and 10 other states have already raised the legal age for buying tobacco products. The move has the backing of the company that makes the JUUL nicotine pods as well as traditional tobacco companies. The owners of the shops that sell electronic cigarettes and vaping products oppose raising the nicotine purchasing age to 21. “You have to be 21 to buy alcohol. Thirty percent of teens drink alcohol, so if raising the age to 21 to buy alcohol didn’t fix teens drinking alcohol, it’s probably not going to fix teens vaping,” said Sarah Linden, the CEO of Generation V, with shops in Council Bluffs, Davenport and five others in Nebraska. Health advocacy groups also oppose the bill. They want lawmakers to make the penalties for selling nicotine-infused products to minors tougher. They want an increase in the state’s tobacco tax and they want the state to spend more on programs that help smokers quit. “Our goal is to improve upon the current bill and we are asking to be part of the solution,” Danielle Oswald-Thole, a lobbyist for the American Cancer Society’s Cancer Action Network, told senators. She pointed to what she called “scary” statistics, like a 2018 survey that found 23 percent of 11th graders in Iowa had used an e-cigarette in the past month.